The key to a good billboard is to catch the viewer’s eye immediately. If you can cause traffic congestion, wrecks, and lots of chaos, then you’ve got yourself a billboard that everyone’s looking at. Here’s a list of some of the coolest billboards of all time. These are the sorts of things that make it impossible to desensitize your child to advertising. I’m pleasantly surprised that the US has two adverts on the list of great billboards. Generally, there are a lot of hoops to jump through here if you want to do something shocking or cool, and if you cause traffic troubles then you can forget about keeping that display up, buddy. Regulations seem to be a bit looser in other parts of the world, which is why they have things like the above see-through billboard for hair care products from Lebanon. 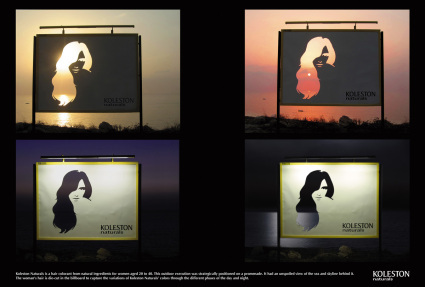 It works with both the natural horizon and creativity to make a great and memorable ad.